One of the fabrics from the Tales of the Riverbank collection. Please see our kit to make the Quilt. One of the fabrics from the Light Fantastic Collection. 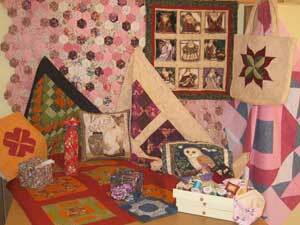 Please see our kit to make the Quilt which has TWO COLOURWAYS.